A trap: Just like with any rodent critters, finding a good trap to catch a groundhog is very important when it comes to how successful you are in getting it. 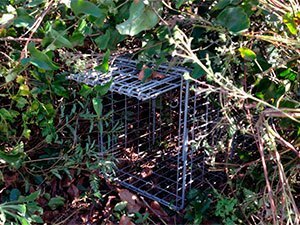 There are, however, a couple of different ones to consider, so it is best to make sure just how you would like to go about trapping it. Kill trap. As the name suggests, this particular trap sets its jaws shut when activated, thereby killing any creature that gets into it. While it is good for ensuring that you permanently get rid of the groundhog, it also brings up debates of inhumane treatment of animals, so you will have to be careful when deciding on this product to use. Live trap. On the other hand, you can also use instead this trap which captures, but does not kill, the groundhog. It is definitely a more humane practice, but then again you will also need to figure out if it is legal for you to release it into the wild in your home state, let alone region. From this, it is best if you research beforehand whether it is legal or not. Soap: This is used to clean the cage before you go about setting it up. It is especially preferred to use non-scented soap for a more natural smell after cleaning for the best results. Heavy object(s): This is particularly useful for anchoring your cage down when it comes to setting up and trapping the groundhog. Rocks and other natural objects around the area work well for this kind of job. Branches and leaves: To camouflage the groundhog trap, use more natural objects in your surroundings to cover it up, for instance branches and leaves. Shrubs, dirt, and other props work as well. Crops: From carrots to celery, sacrificing a bit of your garden’s crops for ensuring the capture of the groundhog will benefit in the long run. Afterwards, you will be able to feel rest assured that your garden will return to its beautiful, flourishing state. Transportation: This may or may not be optional for you, but if you do decide to trap the groundhog and keep it alive, then having a car or some means of taking it away to be released into the wild might benefit you, along with the little critter itself. As previously mentioned, it is up to you to decide on whether you would like to obtain a kill trap or a live trap. In addition, it also depends on whether it is allowed in your home state to kill groundhogs or release them into the wild after capturing them. That said, this initial step is an important one to consider before even getting into the real business of setting it up in the first place. Ideally, the best time to set up traps for groundhogs is in spring, when there is no more snow and that the groundhogs are just coming out of hibernation. It will also make it easier to locate the groundhog holes and tunnels, since you will be setting up your trap near them. Looking for groundhog holes and tunnels can be a bit difficult at first, especially if you do not have much experience in getting rid of such creatures. Granted, it will take some time but with some practice, the skill should come easier to you eventually. A good rule of thumb is to find where your crops are especially damaged and trace the source through possible footprints or trails which might lead up to the entrance of a tunnel. Or, you can also find the holes by looking at any patchy dirt work and following that to a tunnel. Now that you have found the hole and/or tunnel, it is time to prepare your trap. Start by washing it with soap, ideally non-scented one, in order to clean out any human smells that might otherwise put off the groundhog from being lured inside. Scrub out the bars, floor, and everything in between for the best results. Anchor: Using a medley of rocks and other heavy objects, keep the trap firmly in place to avoid it shaking when the groundhog enters, so that the noise does not scare it off. Bait: Place the vegetables well inside of the trap, so that you can completely trap the groundhog when it goes inside. Conceal the trap: Using any leaves or branches nearby to make the trap less visible, so that the groundhog does not know what it is expecting once it comes over. 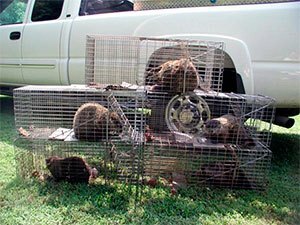 Especially if it is a live trap, make sure to check every so often to see that the groundhog has been caught. As soon as it is captured, it is time to transport it away. For live traps, you will need to release it afterwards (granted, it is legal in your state). Transport it at least 15 to 20 kilometers away from you, with good vegetation for it to survive. Afterwards, you can finally relax! 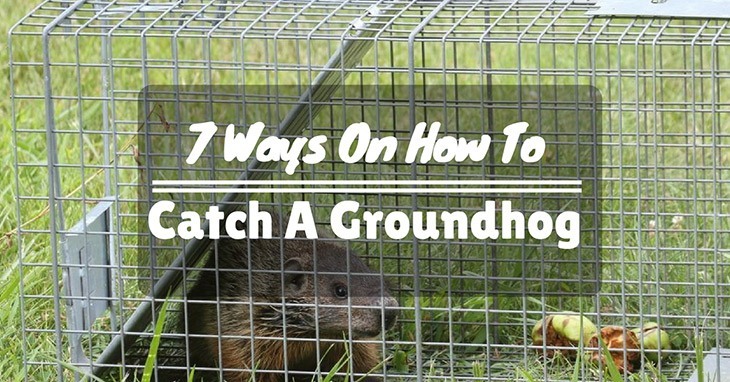 While seemingly daunting, trapping a groundhog is not as difficult as it seems. Doing research on capturing, as well as setting up, will be worth it and in the end, you can fully enjoy what your garden has to offer you.